He has held several executive positions in his career in the public service including with the Privy Council Office as Director of Operations, Social Development Policy as Director General, Strategic Priorities and Planning at the Department of Fisheries and Oceans. Prior to joining Human Resources and Skills Development Canada, Mr. Thompson was Executive Director, Strategic Planning with the Treasury Board Secretariat from April 2005 to September 2007. Mr. Thompson was appointed as the Associate Assistant Deputy Minister for the Skills and Employment Branch at HRSDC on October 1, 2007. From April 1, 2010 to May 12, 2014, Paul held the position of Assistant Deputy Minister of Processing and Payment Services Branch. He was appointed to his current position of Senior Assistant Deputy Minister of the Skills and Employment Branch on May 12, 2014. 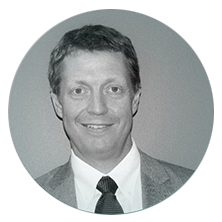 Mr. Thompson holds a Master of Arts degree in Economics from Queen’s University, and a Bachelor of Arts degree in Economics and Political Science from the University of Toronto.